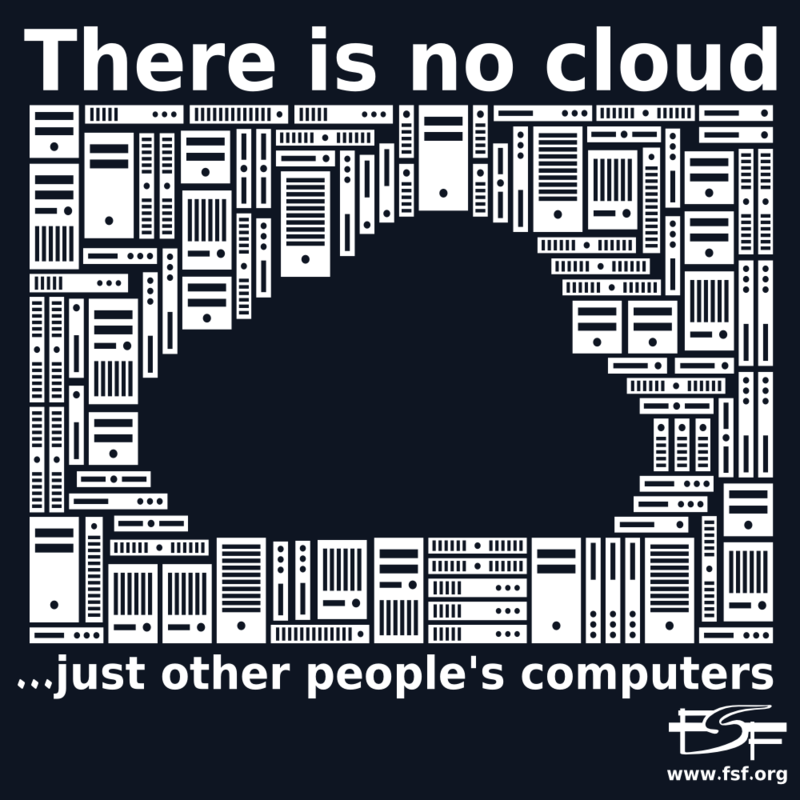 Ten 3" x 3" vinyl stickers warn the viewer of the peril of so-called "cloud computing". Printed in Stowe, Vermont by our friends at Websticker. Art licensed under CC-BY-SA 4.0, based on work by Markus Meier. Source file is available here.